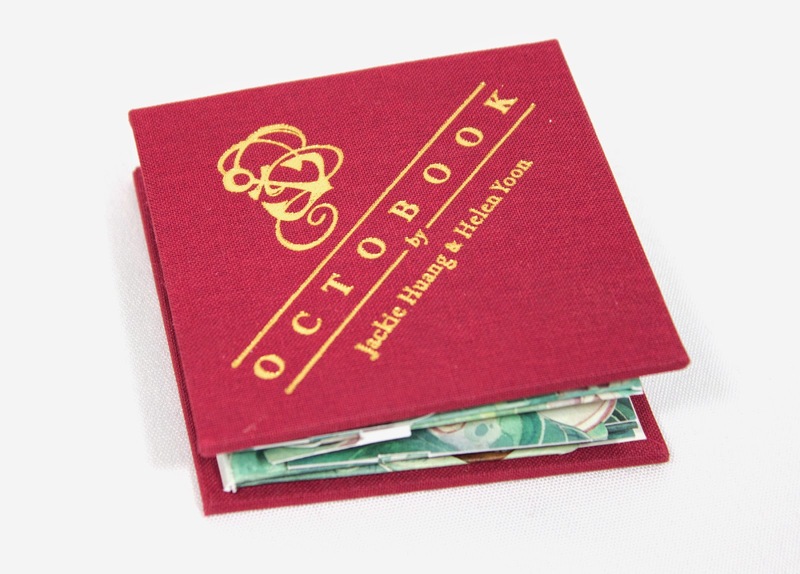 I've been holding off doing a blog post about my collaborative project with Helen Yoon called, Octobook because I've been waiting for the September issue of HOW Magazine to arrive! Our project was one of the Merit Winners for the 2014 HOW Promotion & Marking Design Awards! 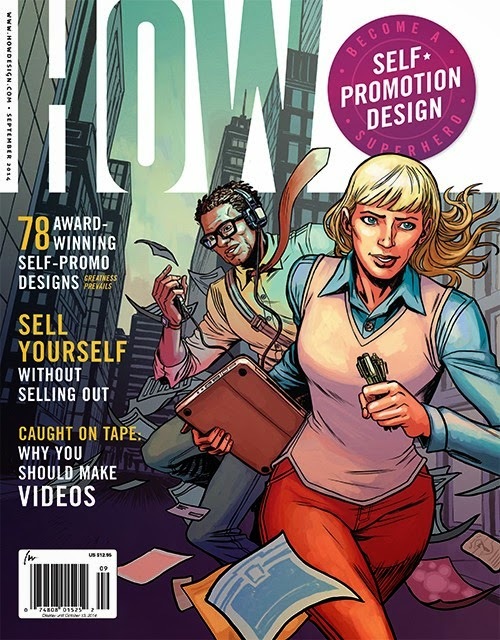 HOW’s editorial and design team evaluated nearly 1,000 entries and selected winning projects that demonstrated an ideal mix of concept, strategy and execution. Entries were judged by type of work (i.e., Designer Promotions, Client Promotions, Personal Promotions) and also by how effectively the design achieved the stated business goals. 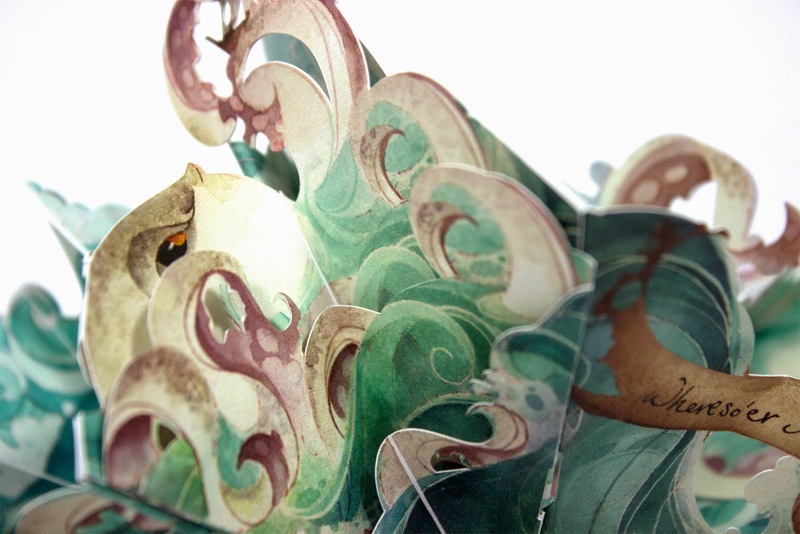 Octobook started off as an idea I approached Helen with - I wanted to try a new kind of pop-up that featured and octopus coming out of a book, but I was so exhausted after engineering it, I didn't feel like illustrating it anymore. So I asked if she might be willing to take it on for me. From there it was a lot of push and pull. I always approach my pop-ups as a fine dance between the art/illustration and the engineering. Helen wanted to do some stuff that was simply impossible unless I could change the laws of physics (which I wished I could do) but also pushed me go beyond what I thought I could with previous engineering techniques. 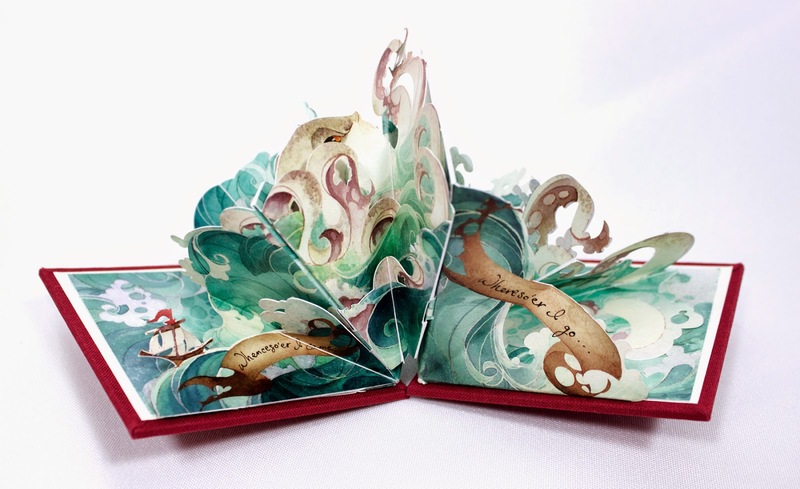 You can read more about the process here, on Helen's blog. The end product is what you see above - a true labor of love. Check it out, along with all the other winner's in HOW's September 2014 issue (page 42).